During the chill of winter, mountain music can really warm the soul. That’s the idea behind Winter Concerts at the Colonial Theatre in Canton. 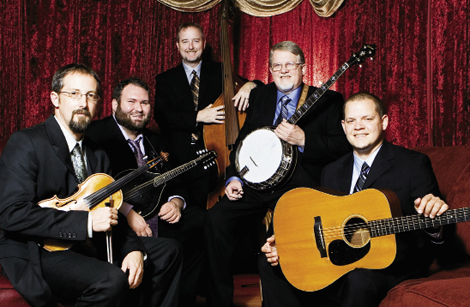 It’s a series sparked last year by Balsam Range, a bluegrass band of Haywood County natives. “We figured, here’s a great opportunity to do a concert series in the off-season with special guests,” says Buddy Melton, a fiddler with the band. This year’s concerts will take place the first Saturday night of each month, from December to April. Balsam Range provides the musical backbone, but it’s the guest performers—some of the most noted names in bluegrass—that make each show unique. “We’re trying to bring something new every time, with new artists, so no two concerts will be the same,” Melton explains. The debut guest on December 3 is singer-songwriter John Wiggins, who’s written many country hits with his sister, Audrey. Take note: Every show sold out last year. Visit balsamrange.com to order tickets.